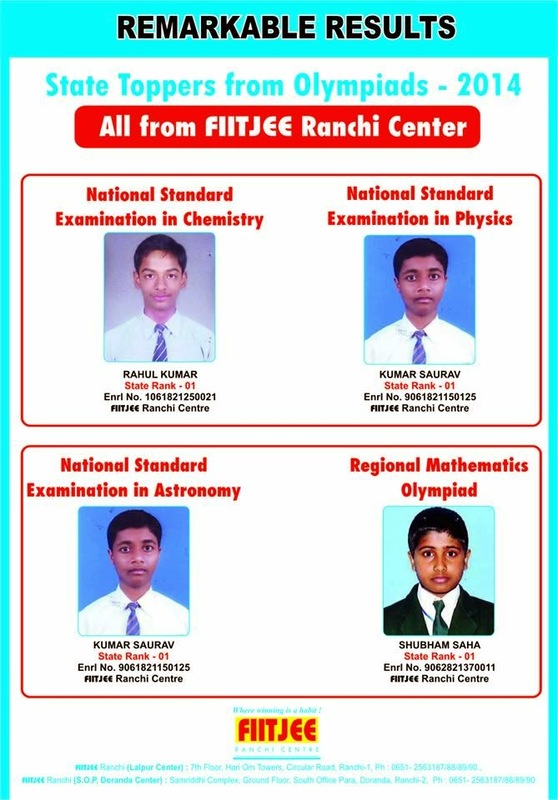 As the results of Olympiads started to come in Students of FIITJEE Ranchi showed their leadership by bagging maximum top positions. 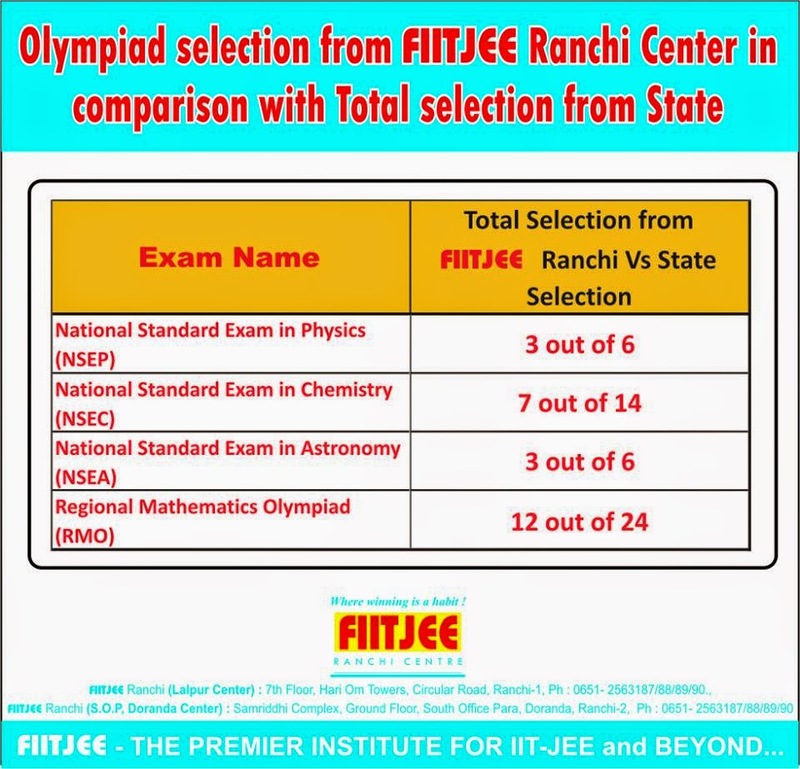 FIITJEE Ranchi has shown spectacular perfomance and grabbed lions share in Jharkhand. 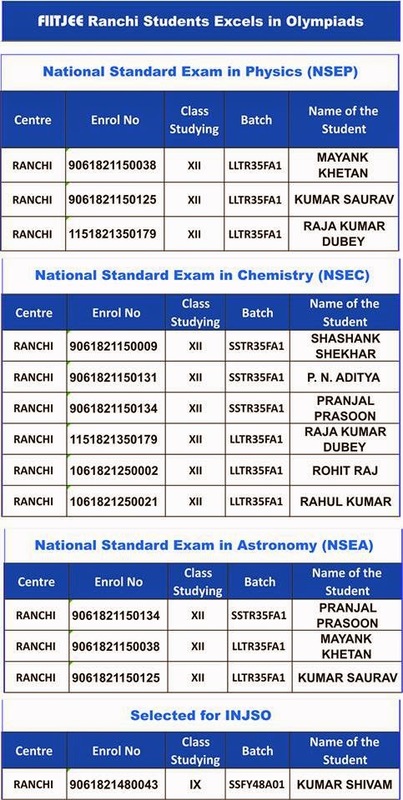 A College selection Program Based on Marks,Rank,Cut off, Preparation, and personal guidance only for students securing 70 % and above. Mr Rajesh Karn,Centre Head and Pankaj Kumar, AGM FIITJEE Ranchi Congratulated students. Psychographic Society heartily congratulates successful students, parents, and their mentors.